Let's get this party started! Although the convention hasn't officially begun (and we are en route), news is already coming in, and you can check out images on our LIVE PHOTO FEED, viewable in our soon-to-be rapidly developing Botcon 2013 Report, in the [urlhttp://www2.unicron.com/2013-transformers/events.html]2013 Events[/url] Section. Also: Custom class fig having more availability is a plus; lack of a bio is the downside. Mirage stated as a fave figure at the TFCC panel. Yeah, and he already had a toy. I've held it in hand. It's more of a bluish turquoise than straight up blue (as a means to prevent it from looking too much like Thundercracker). 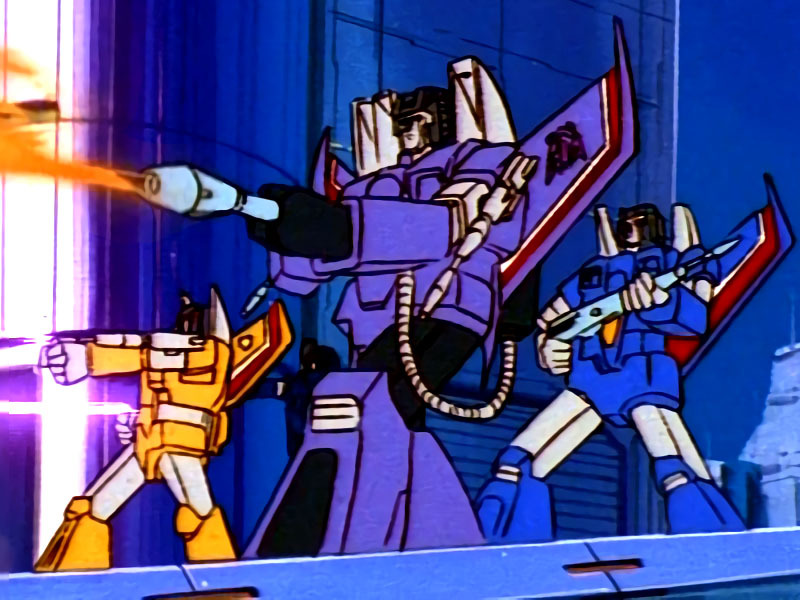 The Thundercracker figure is navy colored, so I think that is why. That's backwards. Takara's the show colors group. Hasbro favors the toy colors.